<< PREVIOUS: Super Highway Oaxaca-Costa, 201? In 1552 the Dominican friar Jordán de Santa Caterina arrived in Oaxaca to preach the Gospel, bringing with him from Spain a petite, wooden image of the Virgin Mary. Brother Jordán had a young servant, whose name is lost to history, from the village of Amialtepec, today in the municipio of Juquila. When the young man returned to his village, the friar gave him the 30-cm. figurine. 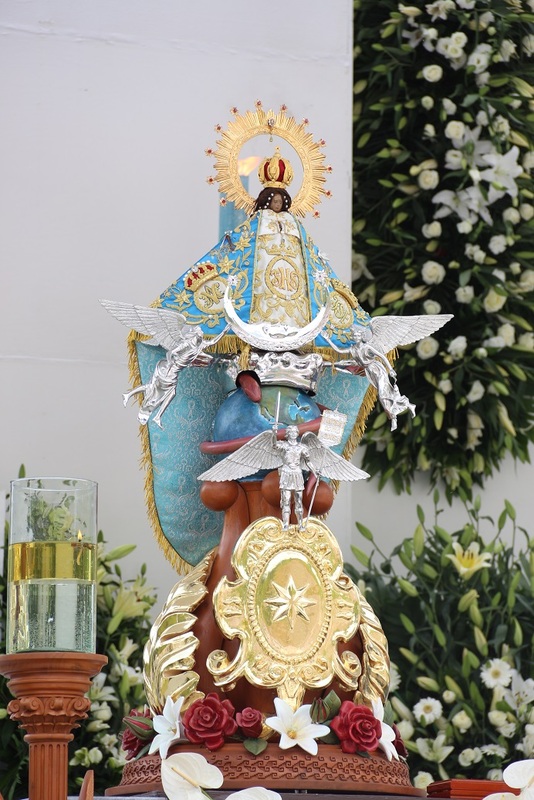 Over the years, this image of the Virgin became an object of veneration for the people of Amialtepec and the neighboring villages, not least because it was known for answering their prayers. The image became so popular that in 1633 the priest from Juquila, don Jacinto Escudero, thought it best to move it from the rustic house in which it was installed to an equally rustic church. But later that year a fire the villagers had started to prepare the fields for planting spread to the community destroying the houses and the church. Miraculously, all that survived was the now charred and blistered statuette of the Virgin with her robe and hair intact. The villagers tried to clean her up, but to no avail. Then they understood that she desired to have the same dark skin as they did. Now the miraculous Virgin brought so much fame and money to Amialtepec that don Jacinto decided to bring the image to Juquila. But a few days after being moved to the church there it disappeared and was found in Amialtepec. The people of Juquila called it a theft; the natives of Amialtepec said it was a miracle. The Virgin was brought back to Juquila and again there was the miraculous return. 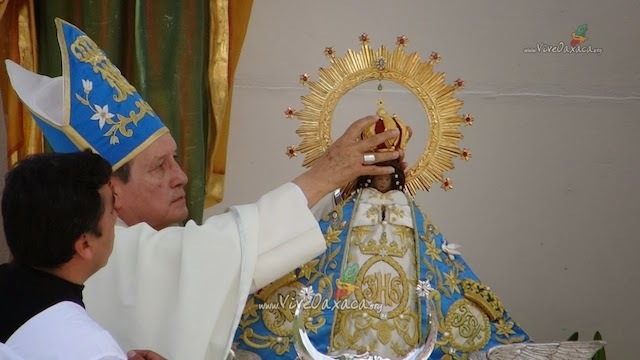 After bringing her back to Juquila a third time, only to have her escape once more, the Virgin of the Immaculate Conception was allowed to stay in Amialtepec. It wasn’t until 1719, when the bishop signed an order for the image to be returned to Juquila, that the Virgin stayed in that place where she remains to this day. Source: Erasmo Guzmán Ventura, Juquila, memorias de mi pueblo. Conaculta, Puerto Escondido, 2010. 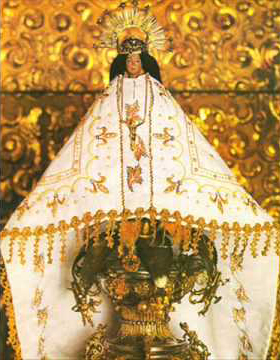 The papal coronation of the Virgin of Juquila on October 8 is part of a tradition. Twenty-six Mexican images of the Virgin have received this honor since the Virgin of Guadalupe was crowned in 1895. Over two million pilgrims visit the Juquila shrine each year. December 8, the day of the Virgin of Juquila, is when the largest number of pilgrims arrive, be it by bus, bicycle, in autos or on foot. The shrine is also crowded on 3-dayweekends and school vacations. We missed the experience of visiting Juquila with thousands of devotees by going on a Thursday in September.